Joanne Hanley and Ed Clark will discuss the Gettysburg Foundation and the Gettysburg Battlefield. Joanne Hanley has been President of the Gettysburg Foundation for two years. 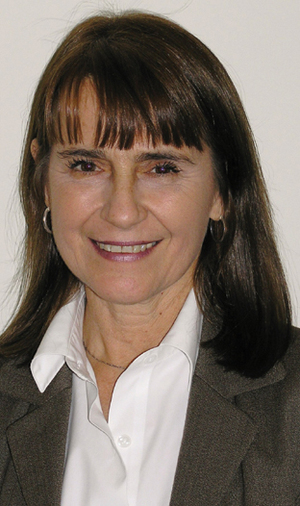 She retired from the National Park Service in 2011 after a 32-year career, where most recently she served as General Superintendent of the National Parks of Western Pennsylvania, which included the development of the Flight 93 National Memorial, as well as managing Fort Necessity National Battlefield, Friendship Hill National Historic Site, Allegheny Portage Railroad National Historic Site, and Johnstown Flood National Memorial. Her other National Park Service assignments included Women’s Rights National Historical Park in Seneca Falls, New York, Glen Echo and Clara Barton National Historic Site, George Washington Memorial Parkway, and Mount Rainer National Park. She worked on management plans in several of the Alaska national parks when they were first added to the National Park system in the 1980’s, and also worked in Washington DC in the National Park Service Office of International Affairs on training and technical assistance in southeast Asia and Africa. Now, Mrs. Hanley manages the $103 million Gettysburg National Military Park Museum and Visitor Center, the only privately owned and operated visitor center in the entire National Park Service, which has now welcomed more than 6 million visitors. The Foundation has a membership of nearly 20,000 around the country and world, and is dedicated to preservation and education efforts at Gettysburg National Military Park. She holds a bachelor’s degree in environmental science from Long Island University, New York, and a master’s degree in environmental science from Washington State University. 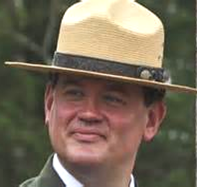 Ed W. Clark is the superintendent of Gettysburg National Military Park and Eisenhower National Historic Site. He has served most recently as superintendent of Manassas National Battlefield Park. He replaces Superintendent Bob Kirby. Prior to Manassas, Clark was deputy chief ranger at Shenandoah National Park and supervisory park ranger at the Blue Ridge Parkway. He is currently enrolled in the Senior Executive Service’s Candidate Development Program, identifying him as one of the service's most promising senior leaders. Clark is a native of Roanoke, Va., and holds degrees from Radford University and Ferrum College. He said he has ancestors who fought at Gettysburg, making the battlefield a very special place for him personally and professionally.